A lot of us grew beards. Not me. What I felt was that there is surely enough sadness in life without going out of one’s way to increase it by sprouting a spade-shaped beard. I found it a melancholy experience to watch the loved features of some familiar friend becoming day by day less recognizable behind the undergrowth. A few fungus-fanciers looked about as repulsive as it is possible to look, and one felt a gentle pity for the corporal whose duty is was to wake them in the morning. What a way to start one’s day! O’Brien, one of the sailors, had a long Assyrian beard, falling like a cataract down his chest, and it gave me quite a start when at the beginning of the summer he suddenly shaved, revealing himself as a spruce young fellow in the early twenties. I had been looking on him all the time as about twenty years my senior, and only my natural breeding had kept me from addressing him as ‘Grandpop’. The origin of Wodehouse’s anti-beard prejudice is unclear. None of his biographers have, to my knowledge, produced a hirsute Aunt or bewhiskered school-master who might be held responsible. 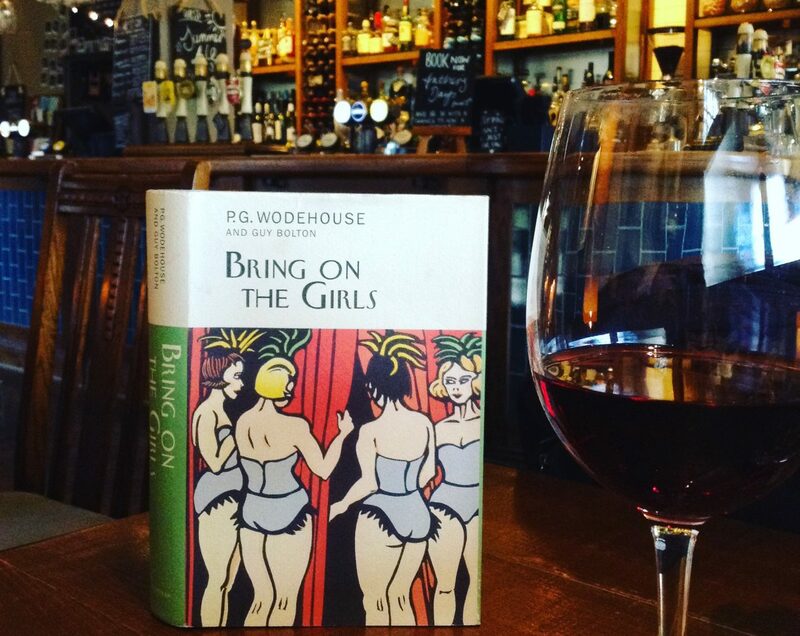 And while Wodehouse might not have been an actual pagonophobe, his views on the subject are remarkably consistent. Wodehouse returns to melancholia of the beard in his masterly short story, ‘The Clicking of Cuthbert. 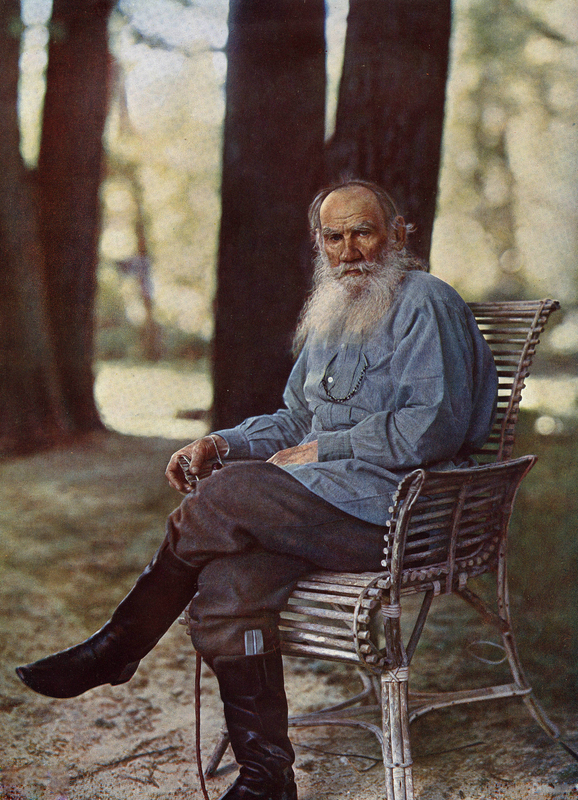 Looking at a photo of that other Russian novelist, Leo Tolstoy, one begins to understand Wodehouse’s point. I love Tolstoy — Anna Karenina is one of my favourite novels — so it’s some consolation to know that this depressed looking soul may have read Wodehouse! I was thrilled to find Wodehouse expert Norman Murphy’s account of Ian Spoat’s discovery that Tolstoy had a copy of The Captain (magazine in which Wodehouse’s early stories were published) on his bedside table. For Wodehouse on the moustache, revisit one of my first posts at Plumtopia: Movember, and the psychology of the upper lip. Wonderful post! 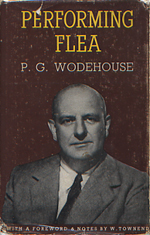 I love PGW’s views on beards – and have used “face fungus” to refer to beards in general conversation, but sadly it appears that the humour of this remark is lost on non-Wodehouse fans! I can’t imagine what he would have thought of the new craze of men wearing flowers entwined in their beards!!! toyed with the idea of making this a piece about grooming advice for the Wodehouse-loving hipster, but I just couldn’t make it funnier than the rot being written already. I found parts of this very difficult to read due to the extremely light type face for the long quotes from Wodehouse. Thanks so much for letting me know. I have just switched to a new WordPress theme and need to iron out some difficulties with it. My apologies in the meantime. What Ho, Randy. I have switched to a different theme today which should hopefully make the content clearer. What Ho, Honoria! Imagine my delight to wake up this morning to discover I have a new follower whose blog is devoted to none other than my favorite author ever!! I cannot wait to spend a few happy hours here and there delving into your past posts and enjoying the ones to come. Chuffed!!! What Ho! The pleasure is mine. I loved your plum piece too! The shareholders of such companies as Gillette can rest easy. Given these anti-fungus sentiments pervading our social landscape, their long term well being is assured. A post which is spot on, as always! Undergrowth and Fungus are just two of the several terms used by Plum to describe beards. There being a positive correlation between beards and melancholy, it follows that a humorist of his stature would be a stout supporter of clean shaven men.